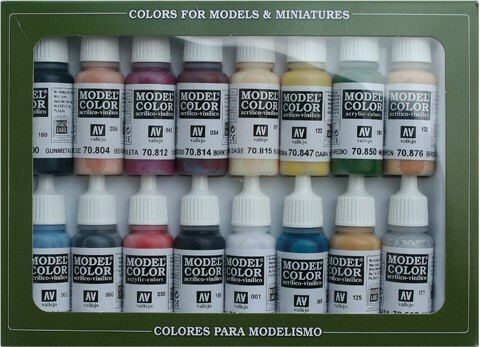 Collection of 16 colour sets of Model Colour for painting models and miniatures. Each one of these sets has a selection of special colours for painting vehicles, figures, etc. Contains 16 bottles of 17 ml. (with eyedropper) and colour chart.